European bovine leather, aniline dyed, exotic embossing. 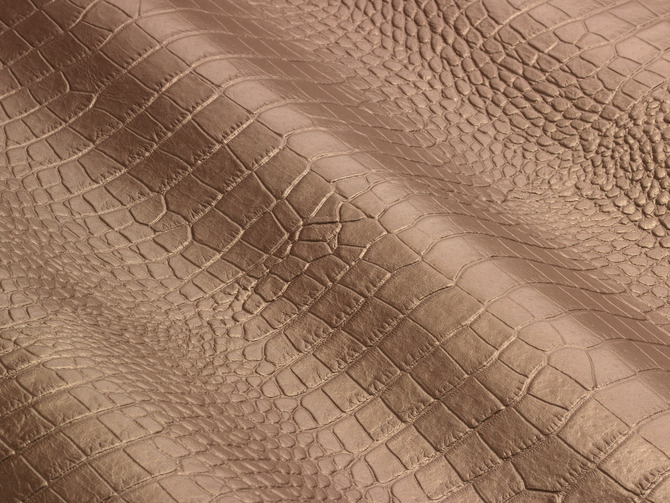 Alligator print in a contemporary design on cowhide leather. The traditional alligator print in new colours and natural finishes. Optimal for furniture, seats, conference rooms, hotels. for a long time, without giving up on design elegance. Available in 8 colours.